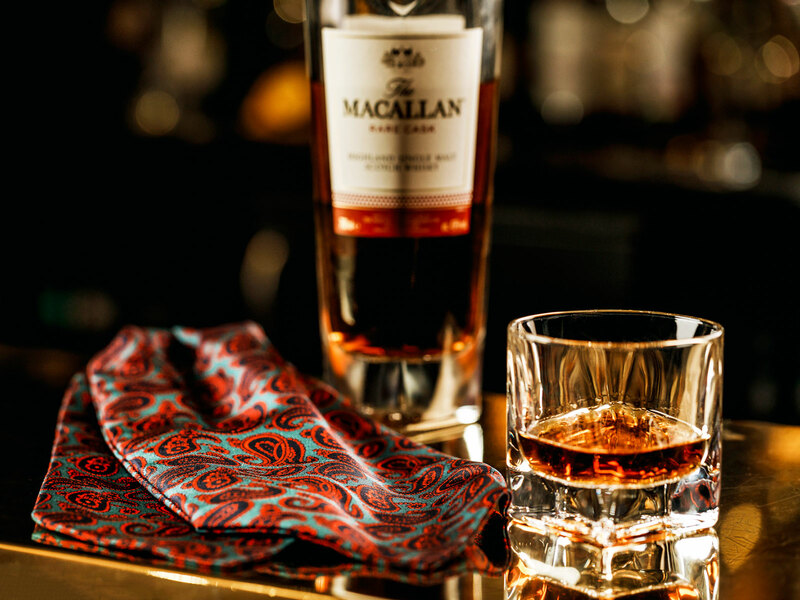 Two British fashion experts paired cocktails and straight pours from The Macallan with different types of neckwear. As the beer, wine and cocktail world has gotten increasing artisanal, suggested beverage pairings have also gotten a bit more idiosyncratic. You’ll still find your classic food and wine pairings, of course, but we’ve also covered quirky ideas like wine and bug pairings, cocktail and movie pairings and beer and Christmas song pairings. 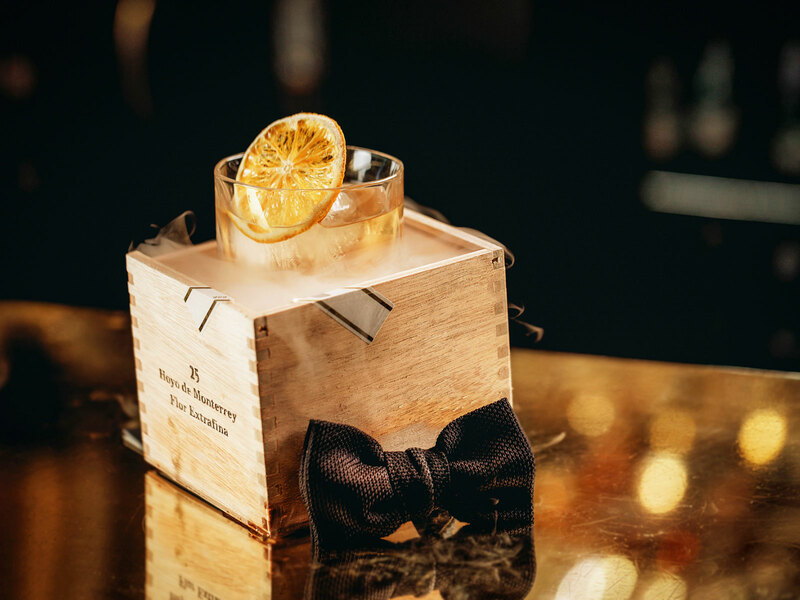 So here’s a new concept that would have sounded bizarre a few years ago, but feels perfectly at home in 2017: a hotel bar in London has unleashed a Scotch menu paired with bowties and cravats. 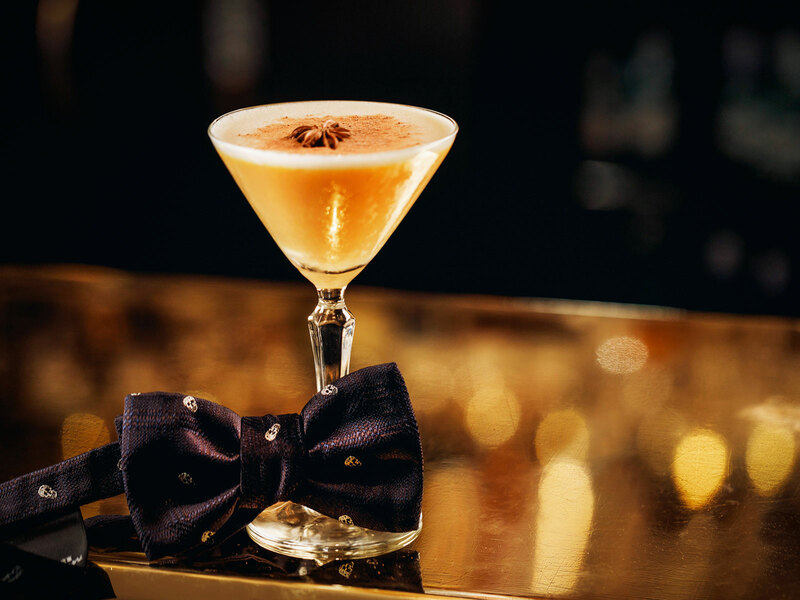 The Hyde Bar at The Park Tower Knightsbridge teamed up with two big names in British fashion to curate “Attire,” an exclusive whisky-centric menu where every tipple pairs with a bit of neckwear. Teo Van Den Broeke, Style Director UK Esquire, chose bowties from the nearby fashion destination Harvey Nichols to pair with a selection of hand-crafted Scotch cocktails, while David Evan, founder of the fashion site Grey Fox Blog, worked with the UK brand Cravat Club on pairing their menswear with whiskies intended to be enjoyed straight or on the rocks. All eight choices on the menu come courtesy of The Macallan which serves as the official Scotch brand of the unique pairing project. 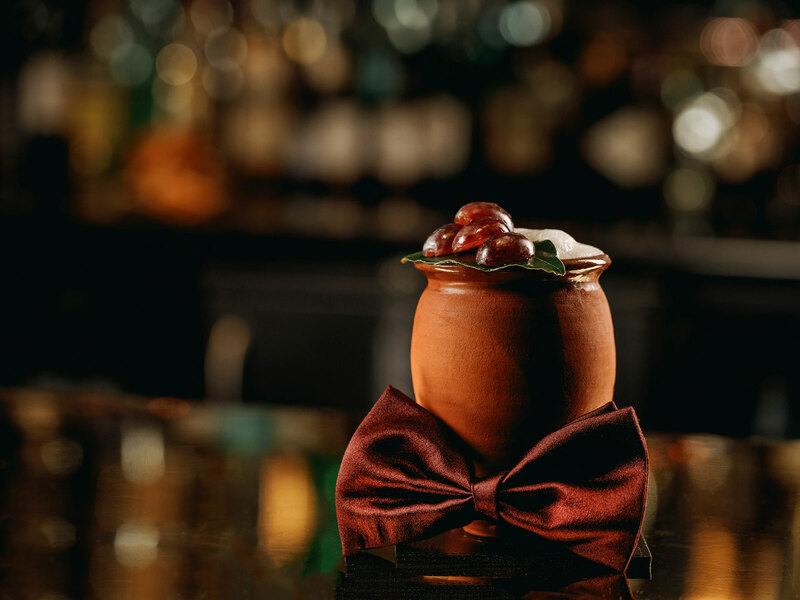 As far as the actual pairings are concerned, each item—drink and clothing—must be purchased a la carte, which is probably a relief for anyone interested in grabbing a drink without having to throw down for some pretty pricey formalwear. For example, all four of Van Den Broeke’s selected drinks—which were crafted by bar manager Sergio Silva—cost either £18 or £20. Meanwhile, the ties will set you back £80 to £120. Evans choice of straight serves range from £12 to £150, with the accompanying cravats ranging from £85 to £150. 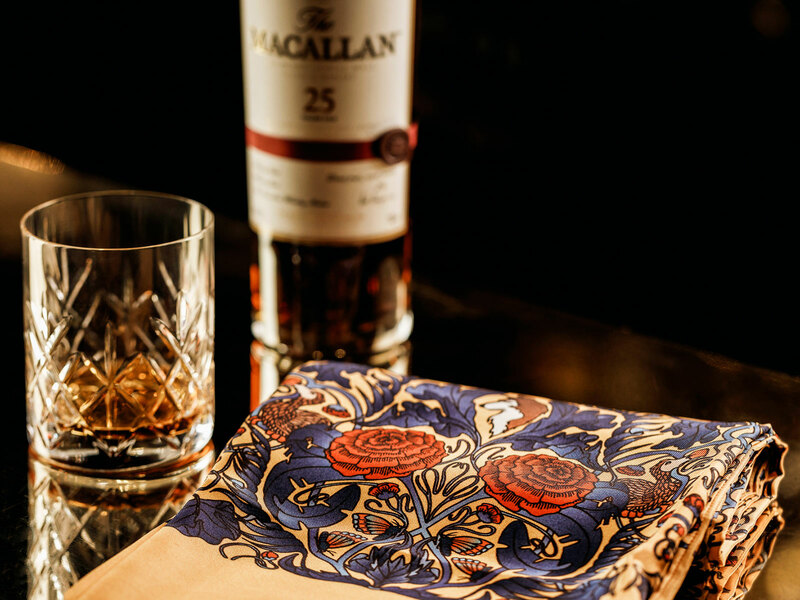 So yes, if you’re looking to go all out on a Scotch and scarf pairing, for £310, you can grab yourself The Macallan 25 year Sherry Cask paired with a Hidden Curiosities VIII Printed Silk Scarf. 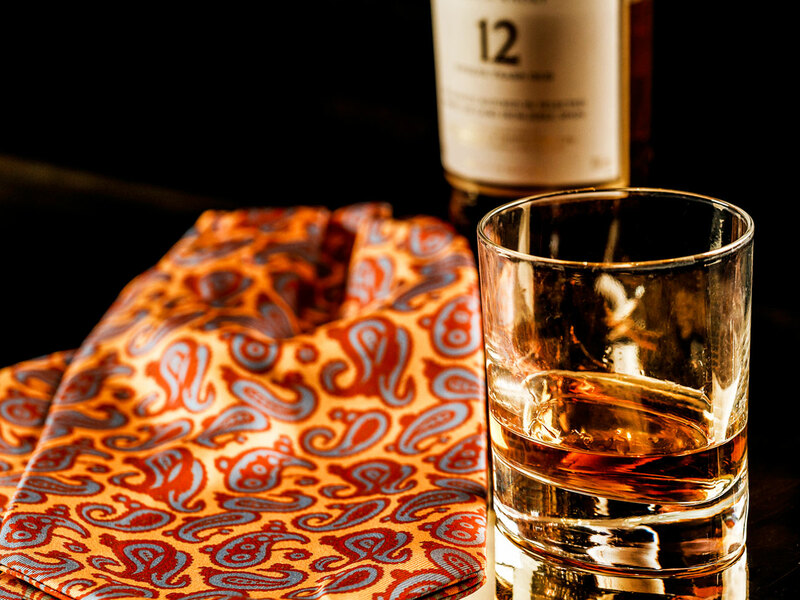 Frankly, the menu doesn’t provide any explanation on why these two pair so well together, but if drinking a £150 pour of Scotch whilst wearing a £160 silk scarf doesn’t elevate your bar experience, nothing is going to work for you. “Attire” will be running at The Hyde Bar until January 7, 2018.